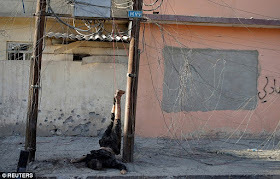 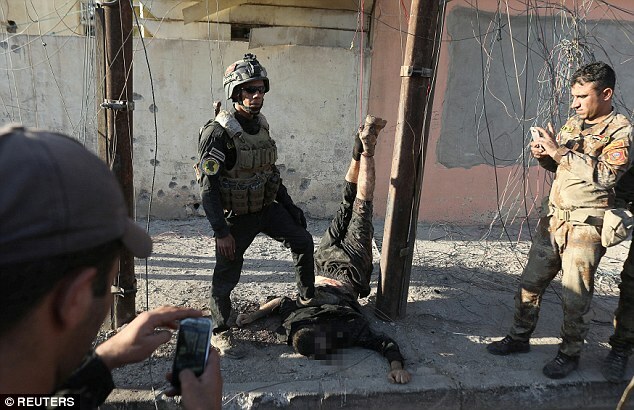 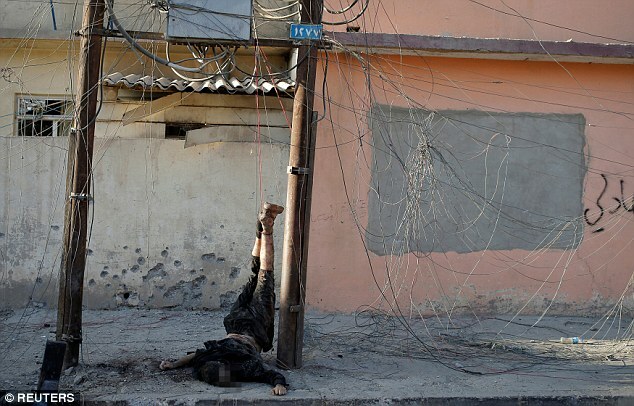 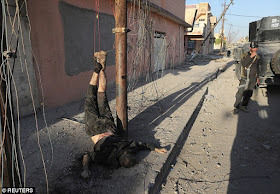 Iraqi special forces soldiers posed for horrifying photographs next to the hanging body of an Islamic State fighter in Mosul as troops faced stiff resistance from militants while they pushed deeper into the east of the city. 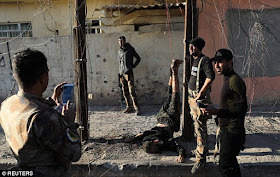 The soldiers were pictured standing straight-faced next to the face-down body of the dead jihadist as the battle for control of the city, Islamic State's last stronghold in Iraq, intensified. 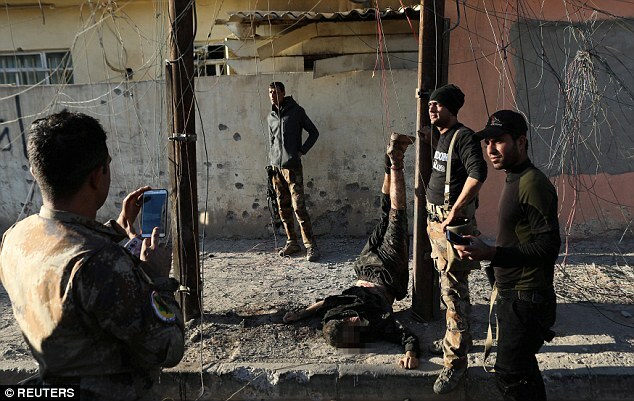 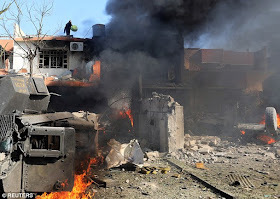 Troops have faced stiff resistance from militants as they push into Mosul.